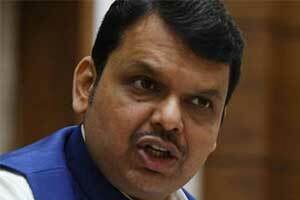 Nashik: The Maharashtra government will be able to take health benefits to the poor and tribals in every corner of the state through ‘Atal Aarogya’ camps, Chief Minister Devendra Fadnavis said in Nashik district Sunday. He said the poor people who cannot afford medical treatment and thus remain out of the healthcare system will be benefitted by the Pradhan Mantri Jan Arogya Yojana (PMJAY) and the Ayshman Bharat scheme of the Central government. The PMJAY aims to provide cashless health treatment to its beneficiaries. “The prime minister has started a major health scheme ‘Ayushman Bharat’ which will cover 50 crore people,” the chief minister said while inaugurating the Atal Arogya health camp at Nanduri, located 70 kms from here. At the camp, a team of 1700 doctors examined people at 100 separate wards that were set up under a big tent at the campsite.